YOUR SEARCH IS OVER!! 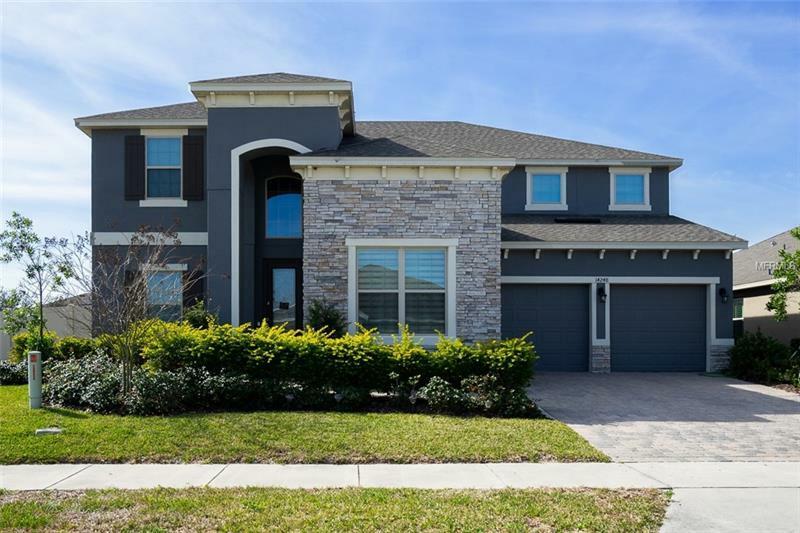 Located in the NEW, desirable "Cypress Reserve" community, this dream home is LOCATED WITHIN MINUTES OF DOWNTOWN WINTER GARDEN, sits on an oversized corner lot & is perfect for a cozy night in with the family or a gathering with everyone special to you. Located within walking distance to the best elementary & middle school in the area, this sprawling home is the family dwelling you will be happy to call home! From the expansive high ceilings throughout, the ample amounts of custom storage, the huge chef’s kitchen & even a bar area adjacent to the massive open family room, this house offers the unique dichotomy of feeling both intimate & open. The over-sized master suite is an oasis of serenity w/its tray ceiling, 2 enormous walk-in closets, & an archway leads you to the Master Bath with a deep soaking tub & huge double shower complete. Down stairs is a large study with French doors & a formal dining room crowned w/custom barn doors & w/ connecting butlers pantry & a guest bath and large laundry room. Upstairs boasts 3 large bedrooms, two full baths & a huge loft perfect for your children or visitors to have their own space to congregate. Off of the large 3rd bedroom is a bonus nook, perfect for a homework center or play area, currently equipped & wired as a home office. Situated on a huge corner lot that is fenced to provide you with an ultimate and secure space for outdoor living, this house is a perfect sanctuary ready for you to start making the best memories of your life in!